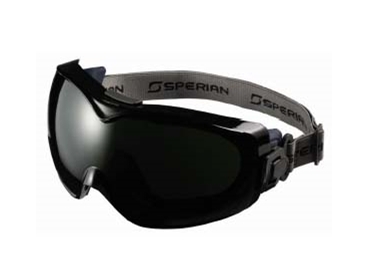 DuraMaxx safety goggles from Sperian feature new shade 5 lenses. The company is now part of Honeywell, the worldwide leader in personal protective equipment (PPE). Eye injuries associated with welding in the workplace and at home are preventable provided that workers are wearing appropriate eye wear protection. Favoured by welders, DuraMaxx goggles are now available with a shade 5 green welding lens, offering wearers outstanding protection against welder’s flash and other eyesight hazards associated with welding. The DuraMaxx goggle with shade 5 green welding lenses is suitable to a number of welding applications including oxywelding, cutting and gas welding and are certified to AS/NZ 1337: 1992 Medium Impact. Utilising a breakthrough Dura-streme coating technology, the DuraMaxx safety glasses combine the benefits of industrial anti-fog and anti-scratch coatings onto a single lens. The interior of the lens is kept clear from fogging, while the exterior is protected from scruffs and scratches, extending the life of the lens by up to three times. An indirect ventilation system channels and directs air flow to further minimise fogging and improve vision. OTG capable, DuraMaxx goggles are able to fit virtually over most prescription spectacles and half mask respirators, and are engineered with a lightweight and flexible elastomer body which provides a comfortable contoured fit for different facial profiles. For ease of use, the DuraMaxx features a pivoting headband for quick and easy fitting, and is adjustable to fit both male and female wearers, and features a large panoramic field of vision – a must for everyday goggle wearers.